The Blackberry – New techniques used for this macro shot of a blackberry included the use of a soft box, focus stacking, and a piece of white acrylic. 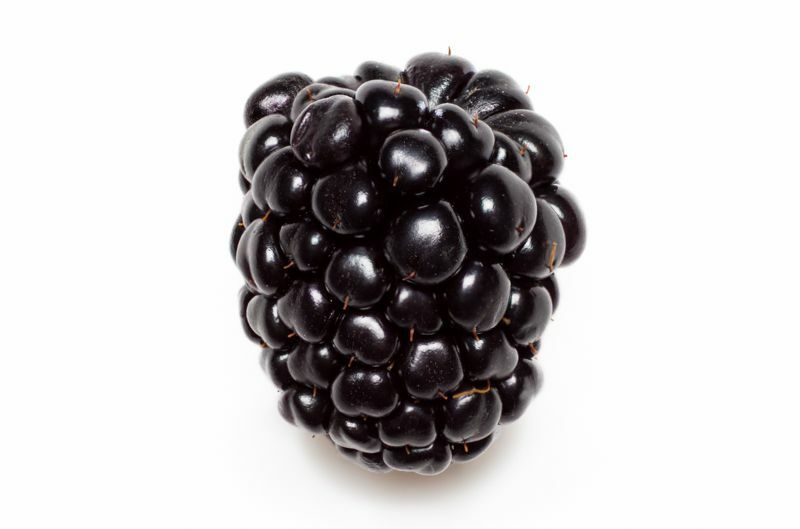 The Blackberry is the first installment in my new series The Smaller Side of Fruit. Previous installments of The Smaller Side of Snacks were illuminated by positioning my single external flash at multiple points around the subject and blending the images together in post. With this subject, I also had to deal with a common problem in macro photography, shallow depth of field. Those two factors combined would have required a lot of layer masking. Enter the soft box and a piece of white acrylic. The 24” x 24” soft box was positioned 3 feet above, and pointed straight down onto the blackberry, which sat atop a piece of matte white acrylic. I took one test shot and knew this setup was the way to go moving forward. The Blackberry is a composite of 5 images shot at 1/60, f/4, ISO 100 and flash at ½ power. The focal length was adjusted for each image starting from the closest part of the blackberry and ending at the farthest. The 5 images were blended together in post to achieve a macro photograph with exceptional depth of field. Post processing was surprisingly quick. Minor white balance adjustments and other tweaks were performed in Lightroom. All 5 images were opened as layers in Photoshop CC and auto blended. I was not in love with the results both with seamless color/tone turned on and off, and started preparing myself for a few hours of layer masking against the original set of images. I then discovered a wonderful piece of open source software called CombineZP. After a few minutes of crunching, CombineZP spit out a fairly clean final product that required far less layer masking against the original set of images. I look forward to exploring the two focus stacking solutions and as always, getting a really great look at an ordinary object, in this case a blackberry, with the help of macro photography and focus stacking.